Fastned has announced its first fast-charging station for electric vehicles (EVs) has opened in Sunderland. The station is centrally located on West Wear Street, which is one of Sunderland’s busiest central routes. 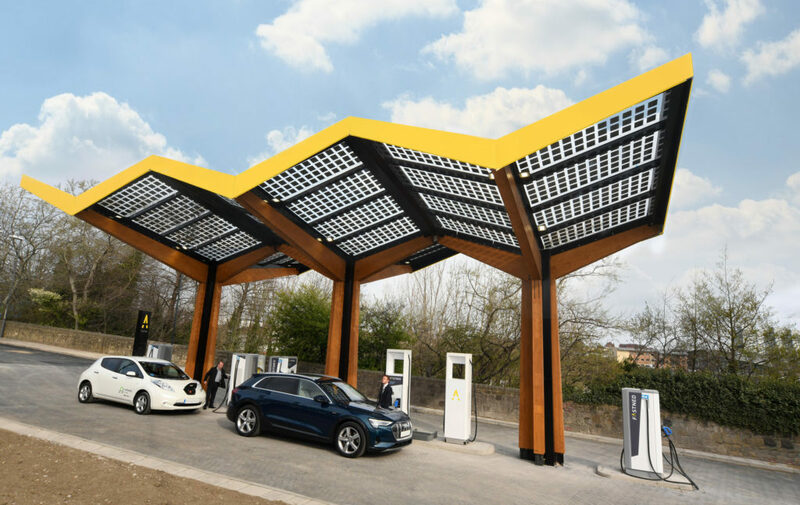 Last month, Fastned announced it had won another tender for five locations for fast-charging stations in the North East of England, organised by the North East Joined Transport Committee. The station canopy is covered with solar panels and all the electricity supplied to drivers comes from renewable sources. The station has four 50 kW fast chargers and two 175 kW fast chargers that are already enabled for 350 kW charging. Initially, charging at the station in Sunderland will be free. The free charging will end during 2019 as soon as the payment system is activated, from that moment an introductory price will be charged. Charging and paying will then be possible with an EV charge card, debit/credit card, Apple Pay and Android Pay. ‘We are pleased to have built this fast charging station where FEV’s can charge up to 350 kW in the United Kingdom in cooperation with the North East Joint Transport Committee,’ said Fastned co-founder and chief executive, Michiel Langezaal. The leader of Sunderland City Council, Cllr Graeme Miller, added: ‘As host to the UK’s first purpose-built high-power fast charging station, Sunderland continues to lead the way in the electromobility industry.